Sutter Health Alta Bates Summit Medical Center, in Oakland, Calif. is one of hundreds of hospitals serving poor patients that will get some reprieve from Medicare's readmissions penalties. At the direction of Congress, Medicare is easing up on its annual readmissions penalties for hundreds of hospitals serving large populations of low-income patients, records released last week show. Since 2012, Medicare has punished hospitals for having too many patients end up back in their care within a month. The government estimates the hospital industry will lose $566 million in the latest round of penalties that will stretch over the next 12 months. The penalties are a signature part of the Affordable Care Act's effort to encourage better care. But starting next month, lawmakers mandated that Medicare take into account a long-standing complaint from safety-net hospitals. They have argued that their patients are more likely to suffer complications after leaving the hospital through no fault of the institutions, but rather because they cannot afford medications or don't have regular doctors to monitor their recoveries. The Medicare sanctions have been especially painful for this class of hospitals, which often struggles to stay afloat because so many of their patients carry low-paying insurance or none at all. In a major change to its evaluation, the federal Centers for Medicare & Medicaid Services (CMS) this year ceased judging each hospital's performance against all others. Instead, it assigned hospitals to five peer groups of facilities with similar proportions of low-income patients. Medicare then compared each hospital's readmission rates from July 2014 through June 2017 against the readmission rates of its peer group during those three years to determine if they warranted a penalty and, if so, how much it should be. The broader issue is whether medical providers that serve the poor can be fairly judged against those that care for the affluent. This has been a contentious topic as the government seeks to accurately measure health care quality. It is particularly a concern in efforts to consider patient outcomes in setting pay rates for doctors, nursing homes, hospitals and other providers. Overall, Medicare will dock payments to 2,599 hospitals — more than half the hospitals in the nation — in fiscal year 2019, which begins October 1st, according to a Kaiser Health News analysis of the records. The harshest penalty is 3 percent lower reimbursements for every Medicare patient discharged in fiscal year 2019. The average penalty — 0.7 percent of each payment — is almost the same as last year, as is the number of hospitals penalized. "It's pretty clear they were really penalizing those institutions more than they needed to," says Dr. Atul Grover, executive vice president of the Association of American Medical Colleges. "It's definitely a step in the right direction." 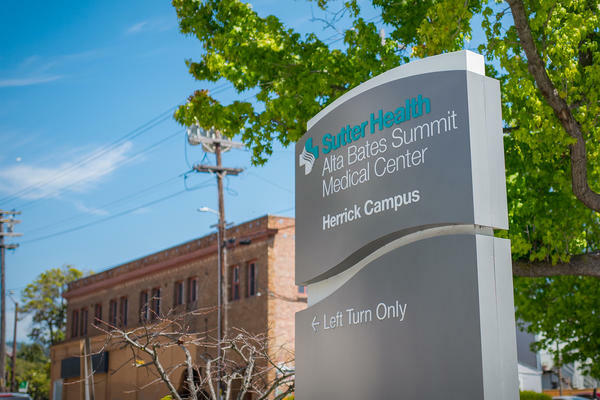 Safety-net hospitals that will see their penalties cut by half or more include many urban institutions, such as Sutter Health's Alta Bates Summit Medical Center in Oakland, Calif.; Providence Hospital in Washington, D.C.; and Hurley Medical Center in Flint, Mich. Sixty-five safety-net hospitals — including Franklin Medical Center in Winnsboro, La., Astria Toppenish Hospital in Toppenish, Wash., and Emanuel Medical Center in Swainsboro, Ga.— that had been penalized last year escaped punishment entirely this year. When the sanctions began, Medicare started doing an annual evaluation of readmission rates for patients who had originally been treated for heart failure, heart attacks and pneumonia. And it has reduced its payments to more than half of hospitals based on those rates. The evaluations have since expanded to cover chronic lung disease, hip and knee replacements and coronary artery bypass graft surgeries. In its revised evaluation method this year, Medicare has started to distinguish hospitals that serve a high proportion of low-income patients by considering how many of the hospital's Medicare patients were also eligible for Medicaid, the state-federal program for the poor. American Hospital Association officials say that while they consider this an improvement, it isn't a perfect reflection of poverty among patients. For one thing, they say, hospitals in states with more restrictive Medicaid coverage do not appear, through this formula, to have as challenging patient populations as do hospitals in states with higher Medicaid eligibility. Akin Demehin, the association's director of quality policy, says CMS might consider linking its records to Census records that show income and education level of patients. "It might give you a more precise adjuster," he says. Congress' Medicare Payment Advisory Commission in June concluded that the penalties from previous years successfully pressured hospitals to reduce the numbers of returning patients — and helped save Medicare about $2 billion a year. In its analysis of the approach's effectiveness, the commission rejected some of the hospital industries' complaints about Medicare's Hospital Readmissions Reduction Program. The industry had argued that hospitals may have tried to get around the penalties by keeping patients under "observation status" and that discouraging rehospitalization may have led to extra deaths. The commission wrote: "We conclude that the [penalties] contributed to a significant decline in readmission rates without causing a material increase in ED [emergency department] visits, a material increase in observation stays, or a net adverse effect on mortality rates." This fall, Medicare will attack readmissions from another angle by issuing penalties on skilled nursing facilities that send recently discharged residents back to the hospital too frequently.